Hope you´re having a good 2013 so far. We been busy little elves at Enough Records and have 2 new releases for you to check out, both of them free for download. Compilation celebrating the 100th anniversary of 'L´Arte dei Rumori', the first artistic manifesto concerning noise music. It was written by Luigi Russolo, an Italian futurist painter and composer, who was interested in classifying all the new sounds that were coming out from the machines at the time. The tracks on this compilation are not about white noise, they cover all spectrum of experimental sounds: music concréte, electro acoustic, free jazz, circuit bending, field recordings, etc. This compilation was released on January 1st, the Public Domain Day, under creative commons public domain license. 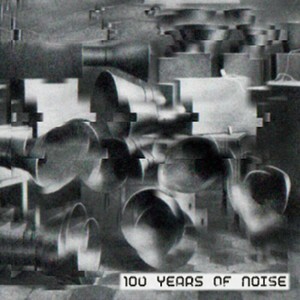 "The Portuguese netlabel Enough Records begins 2013 with a terrific release, 100 Years of Noise. Not only is this part of the netlabel’s honor of Russolo’s Futurist manifesto, they (and the artists) graciously released the work under the Public Domain in celebration of Public Domain Day. There is much in 100 Years of Noise, music from artists that we are quite familiar with and others who I’ve never heard of. When I first sat down to listen to this 100+ minute album, I tried to make sure I was surrounded by silence. But as I listened and night wore on to the next day, I found the greatest enjoyment was while riding on the commuter train or walking on the streets of Philadelphia or at my desk while a rather loud meeting was taking place not ten feet away. It was with these other noises, these sounds of everyday, that the music came to joined life, became part of the surroundings. Some of these tracks aren’t noise in the usual sense, but are more the logical consequence of marvelous innovations to paraphrase Russolo." 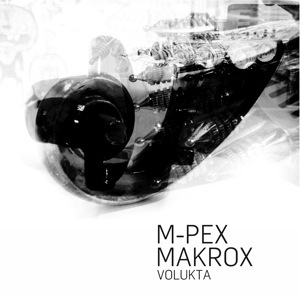 Album by Portuguese project M-PeX in collaboration with DJ Makrox. Mixing Portuguese guitar with electronics, jazz and hiphop elements. World music at it's best. "M-PeX and Makrox are old battle comrades. From the former we know his records where he mixes Portuguese Guitar with electronic rhythms. From the latter a sound rooted in the electronic, with Folk and Tribal insertions. They are often accomplices in live performances. Now they got together to create "VOLUKTA", a record which will be available free for download from Enough Records netlabel website, although also edited on CD. We start by explaining the title. "VOLUTA" is the head of the Portuguese Guitar. In Lisbon style it is shaped as a snail shell, in Coimbra style as a tear and in Porto as a person or animal figure. Our second explanation: all 10 tracks are named following cosmic constellations or stars. All these ideas make sense, since the Portuguese Guitar surfs over spatial sounds. And which sounds are these? Can we talk about fusion? We can and we must! Electronics mingled with Fado, which is then mixed with tribal rhythms, with some Jazz incursions through a Saxophone, and even Hip-Hop with scratch sounds on the last track. Boldly, we can talk about World Music. A known theory says Fado has Arabic origins, after listening to this record once again that idea becomes clearer. Indeed much of the inspiration for these musicians stems from the north of Africa. This is therefore a borderless record. From the world. Shattering borders. Transporting our Portuguese sound onto distant landscapes. And also bringing the world onto our shores. A record as large as the sky... and full of shinning stars."